Somatically Inspired Hatha Flow Class – 7.30pm Wednesdays at Stanpit Guide Hut. Whether you are new to Yoga, or have practiced for many years, I would love to welcome you and share this wonderful practice with you. Somatic Yoga is a different style and is based on the work of Thomas Hanna, known as Hanna Somatics. We work in a slow, mindful, flowing way using the concept of pandiculation, rather than passive stretching, to reprogramme the nervous system to allow us more function and freedom of movement. We reset our bodies and unwind the tension that daily life can inflict upon us! We use the powerful yet accessible Somatic Yoga flows as a warm up and cool down. This practice includes a functional dynamic Hatha flow section as a way to integrate and capitalise on the enhanced function and posture created by the Somatic flows, working on strength, stability, balance and core. We then unwind and integrate with some more Gentle Somatic Yoga flows to move us into a deep relaxation – which is always the way we finish our practice! If you are new to yoga, this class is open to you – just be aware that as a beginner it is important to remember it’s OK to be a beginner! Others in the class will have been coming regularly to this and other classes for many years, so please remember the real essence of yoga is learning to be OK with where you are and not competing against others or judging yourself! In any case, Yoga is not just about the physical, the key to it all is finding peace and ease through mindful movement, accessing the power of our breath and focus, the power of being able to be truly present, allowing the chatter of the mind to dissolve to make way for you to just be. The work we do on the mat is all part of helping you to feel great – getting the feel-good endorphins flowing and the energy or prana within you mobilised, while helping you practice dissolving and moving through the inevitable stresses and strains of life in a calmer, more centred manner. Private Yoga Sessions: These can be arranged to suit (one to one or small group sessions) – please contact me for more information although spaces are very limited. Individual and Small Group Courses: Choose from a 4, 6, 10 class programme (or a custom programme) and have your yoga practice completely tailored to your needs. Please contact me to discuss. 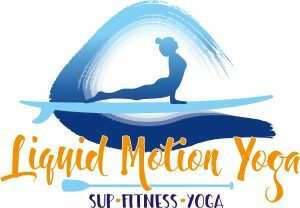 Private SUP Classes: If you wish to arrange a private SUP yoga or Paddle Fit session this is possible, an hour private lesson is £65, any additional people an extra £12 each. PRIVATE SUP Group Classes: For groups of 8 and over £18 per person including board hire (more per person if under 8). We can teach up to 12 in one group, over 12 and we split into 2 groups with 2 instructors.